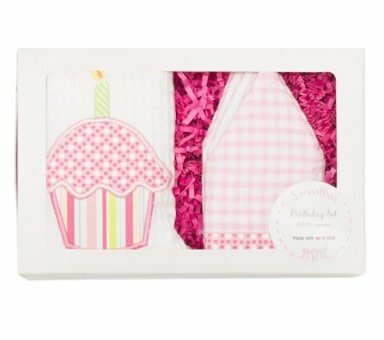 This is the perfect gift set for celebrating baby's first birthday! 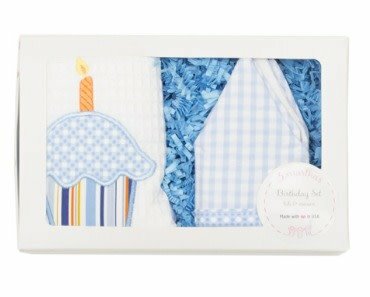 It comes with a cupcake feeding bib that is plenty big for catching messy icing and cake crumbs as well as a crown for your little prince or princess to wear on the big day! They'll never want to take it off!